Around here, we make it a point to be in or near the ocean every day. It’s just part of the effortless charm you’ll find everywhere you turn in Dana Point. On any given day, you’ll find locals in flip-flops and board shorts, either coming from or headed to the water. So, it’s no surprise that our visitors also want to get in on the same action, taking in every scenic vista and sunset possible in their time here. What better way to experience Dana Point than to bed down for the night in accommodations on or near the beach? From Doheny State Beach camping to Dana Point hotels on the beach, we’ve got your next escape covered. The first – and best – way to experience life on the beach is to pitch a tent just steps away from the water. 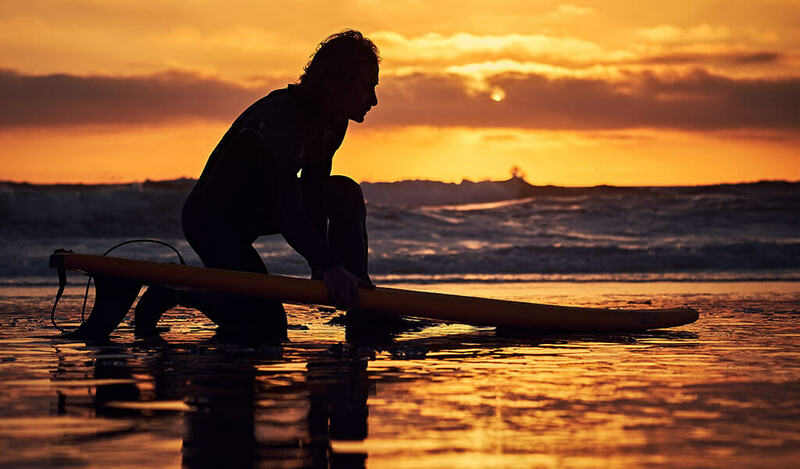 For that, there’s no better place in Dana Point than Doheny State Beach, the legendary gathering place for surfers, whale watchers, paddleboarders, volleyball players and day-trippers over the past century. Boasting a campground with 114 sites and RV area, Doheny is the best bet for those looking to sleep within earshot of the waves of the Pacific. This pet-friendly campground is so popular that reservations – while not required – are highly recommended, especially in summer. Reserve a spot for your next trip at Reserve California or by calling (800) 444-PARK. And, with its proximity to Dana Point Harbor, there is no shortage of opportunities to get out on the water when you visit. 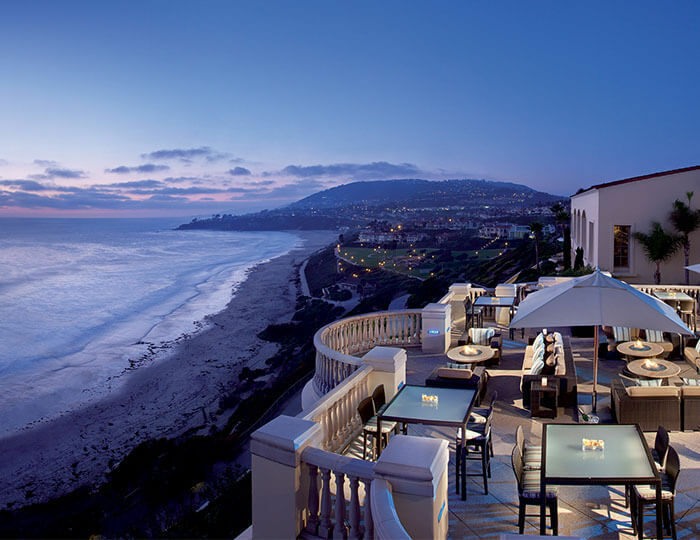 With a series of AAA Five Diamond Awards to attest to its ability to delight even the most discerning of travelers, the Ritz-Carlton, Laguna Niguel sits atop a seaside bluff, affording unmatched views of the ocean and Dana Point’s beaches. Dine while enjoying panoramic ocean views at Raya or sample local organic meats at enoSTEAK steakhouse within the resort. Ocean suites offer sweeping views as well as high-end amenities including access to the Ritz-Carlton Spa, where relaxation and rejuvenation take priority over everything else. The resort’s Eco-Adventure Center shines the spotlight on Southern California’s natural beauty through 15 different excursions led by experts. 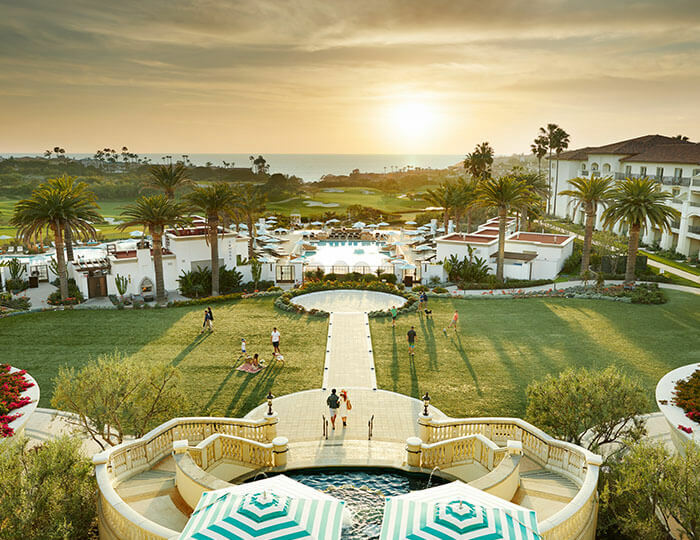 Perched on 172 acres overlooking the Pacific, the Monarch Beach Resort offers activities for the adventurous as well as full access to its own private beach club. The 18-hole Monarch Beach Golf Links offers a chance to take in Dana Point’s scenic wonders while getting in a round or two, while the resort’s Miraval Life in Balance Spa offers 30,000 square feet in which to unwind from the day. Six restaurants, each with an ocean view, deliver a variety of cuisines, including Chef Michael Mina’s Bourbon Steak Orange County which serves up local butter-poached steaks. Newly renovated guest rooms offer flat-screen TVs, finely-appointed bathrooms and private balconies. 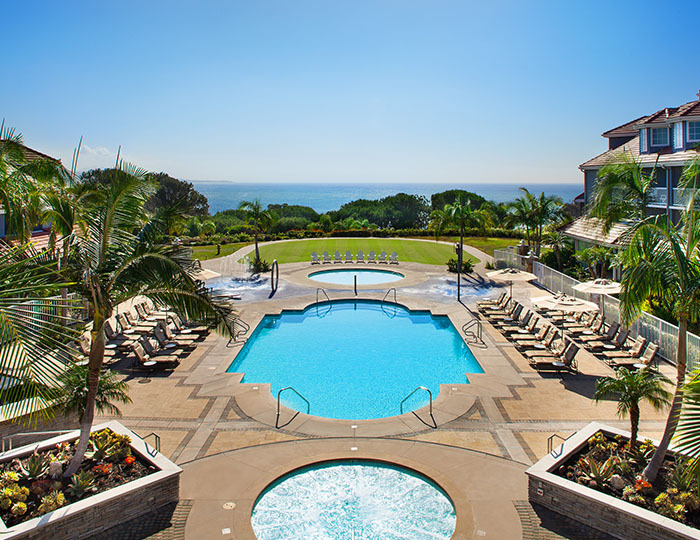 Recently emerging from a multi-million dollar renovation, the Laguna Cliffs Marriott Resort & Spa features 378 rooms and suites. Situated near the Ocean Institute and Dana Point Harbor, this resort is mere steps away from the beach, sailing, whale watching, surfing, paddleboarding and more outdoor fun. Dining options include Vue, specializing in California cuisine and the OverVue Lounge, where craft cocktails and local brews come to life every night. The resort also features a 14,000 square-foot spa, two heated outdoor pools and plenty of fun for kids of all ages. This all-suites hotel is perfectly located near Dana Point Harbor and Doheny State Beach. Surfers and paddle boarders won’t have to venture far to enjoy some quality time on the water, and when the day is over, rest peacefully in one of more than 196 suites decorated in beach-inspired decor. Dog-friendly rooms are also available. Sip cocktails at the Longboard Rooftop Lounge, then head over to the Doheny Surf restaurant for an unforgettable dinner. A cardio fitness center is offered for those looking for a little more exercise after a day on the beach. Let go of your cares in the hotel’s sauna, swimming pool and massage center. 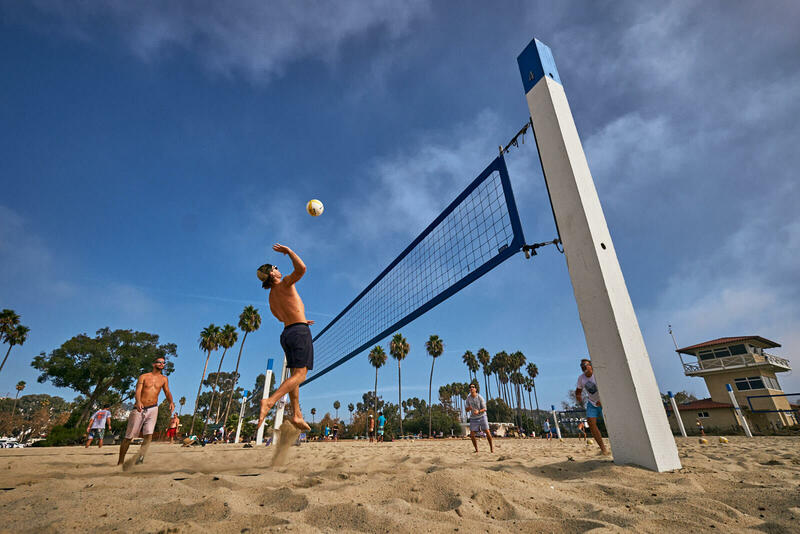 Situated right on the Pacific Coast Highway across from Capistrano Beach, Riviera Shores offers cozy accommodations and a great location just steps from the ocean. Rooms include a studio with an ocean view as well as one- and two-bedroom suites facing the ocean. The resort also has a pair of swimming pools, a hot tub and exercise room. An affordable option for those looking for close proximity to the beach, this cozy inn is also located near shops and restaurants within walking distance. Its 136 rooms include a complimentary continental breakfast and discounts at local eateries. Bring the family and the surfboards for this Dana Point oceanfront resort featuring private balconies, a swimming pool, beach toys for young guests and more. Tucked quietly on the south side of Dana Point, this resort features large rooms, a sauna, fitness center and two pools with terrific views of Capo Beach. Towering palm trees welcome visitors to this Capistrano Beach hotel. Its 32 rooms and suites include free parking and complimentary breakfast as well as access to San Onofre and Salt Creek Beach for surfing. Along the Pacific Coast Highway in Dana Point, you’ll find this inn just steps away from Doheny State Beach. It’s also located near Capo Beach for the surfers in your group. Pet-friendly, this Best Western is right on the Pacific Coast Highway in Dana Point. It offers easy beach access, nearby dining and a heated pool. Free Wi-Fi and complimentary breakfast are included.